Does Temporary Basting Spray Wash Out? In case you don’t want to read this whole long post, the short answer is no, quilter’s temporary basting spray does not wash out. It will eventually stop being sticky, but I don’t think it actually goes away when washed (at least the two brands I tried didn’t wash out when washed in cold water). I used Sullivans Quilt Basting Spray to adhere two layers of fabric together when I made pajamas for my kids a few years ago. Several washes later, the fabric was still stuck together. After many washes, the stickiness seemed to be mostly gone, but I’d hoped this stuff actually washed out, and it didn’t seem to. I think it only stopped being sticky because lint from the fabric covered the adhesive. So, based on my experience, when I read that Madalynne uses basting spray to adhere lace to fabric when she makes bras, my first thought was “Ew, gross.” My second thought was that maybe the brand of basting spray she uses, Odif 505 Spray, washes out better that the stuff I had. I did some internet research, and I found some people saying it washes out, and some people saying it doesn’t. On this 505 Spray FAQ it says “The bond will release when washed.” That seemed very carefully worded to me – notice they are not saying that it washes out. Well, I finally decided to just buy some 505 Spray and test it myself. I compared 505 Spray to my 10 or more year old can of Sullivans spray. New Sullivans Quilt Basting Spray cans are labeled “new and improved” so your results may vary. I figured while I was testing basting sprays, I’d test all the other products I use for sewing that are supposed to wash out. I’ve always wondered if they are leaving secret gooey residue inside my clothes. I tested Collins Wash-Away Wonder Tape double sided tape, Solvy water soluble stabilizer, Sticky Fabri-Solvy water soluble stabilizer, Elmer’s Washable School Glue, and Elmer’s Washable Glue Stick. I also sprayed Solvy with both kinds of basting spray to make it into sticky stabilizer. I made test swatches with each thing I tested sandwiched between two layers of fabric. I ironed the upper half of each test swatch to see if that had any affect on the results. I sewed the test swatches into a little quilt. I quilted it together with chain stitches so it would be easy to take apart after washing, then I washed it on cold in my front loading washer and dried it in the dryer. Odif 505 Basting Spray lightly sprayed on one piece of fabric: Ironing the fabric made the tackiness go away on the freshly sprayed fabric, and the fabric no longer stuck together there, but I didn’t notice a difference between the two sides after washing. After washing, there was a very slight sticky feeling on the fabric, and the two layers of fabric barely stuck together. I would say that washing reduced the tackiness a little, but it didn’t wash out. Odif 505 Basting Spray heavily sprayed on one piece of fabric: When 505 is sprayed heavily (not recommended), it builds up on the surface of the fabric and looks like a layer of frost. 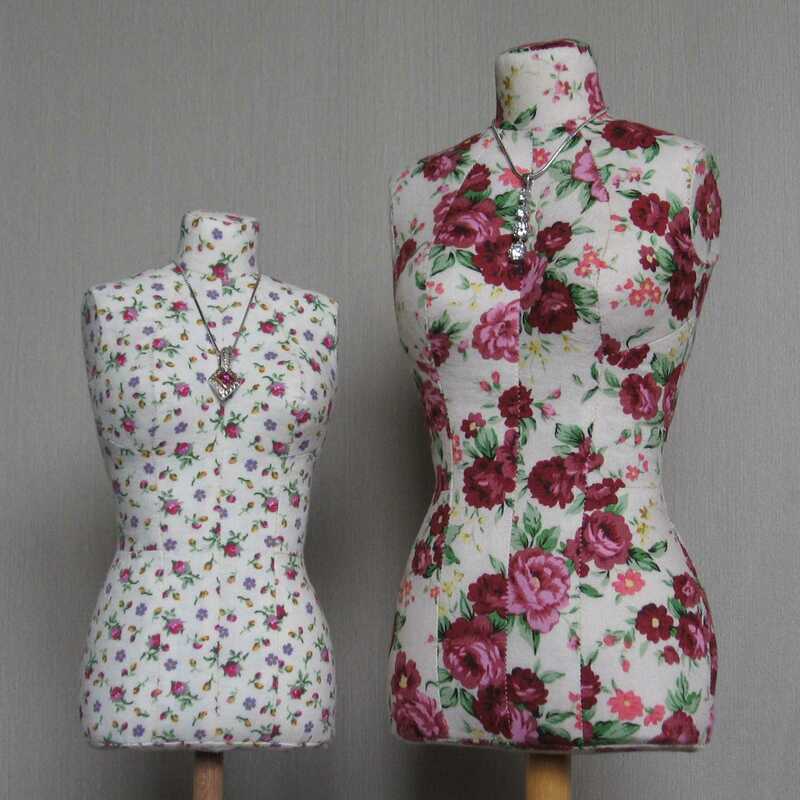 With such a thick layer, ironing did not have a noticeable affect before or after washing. After washing, there was a noticeable tacky feeling on the fabric, and the two layers stuck together more than the lightly sprayed sample. Sullivans Quilt Basting Spray lightly sprayed on one piece of fabric: Sullivans is stickier than 505 Spray. After washing, the lightly sprayed Sullivans sample was stickier than the heavily sprayed 505 sample. I don’t think washing reduced the stickiness. Ironing did not have any affect before or after washing. Sullivans Quilt Basting Spray heavily sprayed on one piece of fabric: Unlike 505 Spray which builds up on the surface when you use too much, Sullivans soaks into the fabric. The fabric was very sticky before and after washing. After washing, the side of the fabric that was sprayed had a rubbery feel to it where the spray had soaked in. The two pieces of fabric remained tightly adhered together after washing. Ironing did not have any affect before or after washing. Sulky Sticky Fabri-Solvy: This washed out completely. Ironing causes Sticky Fabri-Solvy to shrink, but it does not affect how well it washes out. Sulky Fabri-Solvy: This washed out completely. Ironing causes Fabri-Solvy to shrink, but it does not affect how well it washes out. Sulky Fabri-Solvy lightly sprayed with 505 and adhered to fabric: The Fabri-Solvy washed away, but there was a slight stickiness left on the fabric from the spray. Sulky Fabri-Solvy heavily sprayed with 505 and adhered to fabric: The Fabri-Solvy washed away, but there was a noticeable stickiness left on the fabric from the spray. The two layers of fabric were stuck together. Sulky Fabri-Solvy lightly sprayed with Sullivans and adhered to fabric: The Fabri-Solvy washed away, but the fabric was sticky. The two layers of fabric were stuck together. Sulky Fabri-Solvy heavily sprayed with Sullivans and adhered to fabric: The Fabri-Solvy washed away, but the fabric was very sticky. The two layers of fabric were stuck together. Two layers of Sulky Fabri-Solvy lightly sprayed with Sullivans and adhered to fabric: I sprayed one layer of Fabri-Solvy with Sullivans spray, put another layer of Fabri-Solvy on it, sprayed that, then put fabric on it. After washing, the fabric was about as sticky as sample #10. 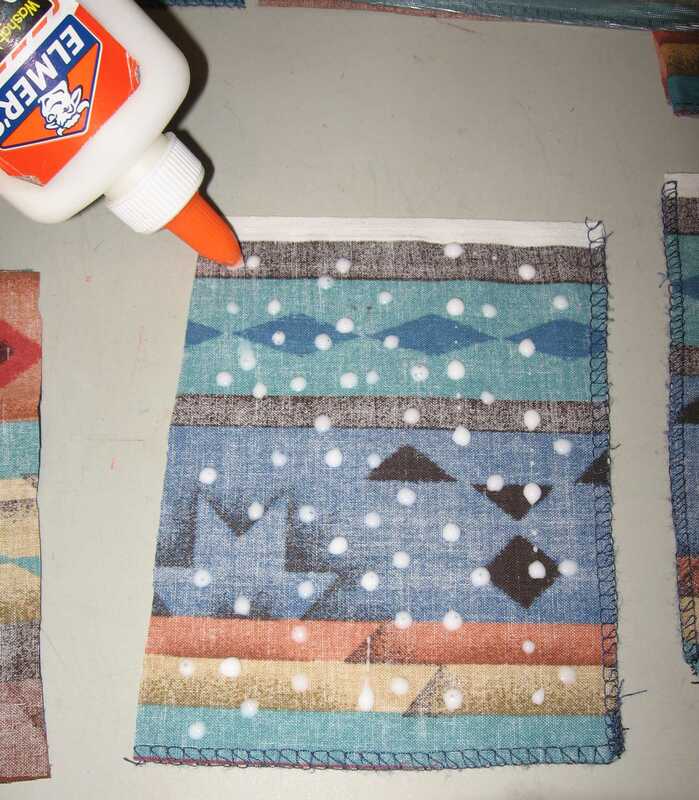 Elmer’s Washable School Glue: I dotted one piece of fabric with glue, then placed another piece of fabric on top. I used bigger drops of glue than I typically use when sewing. Ironing dries the glue quickly, but does not affect how well it washes out. The glue washed out completely. 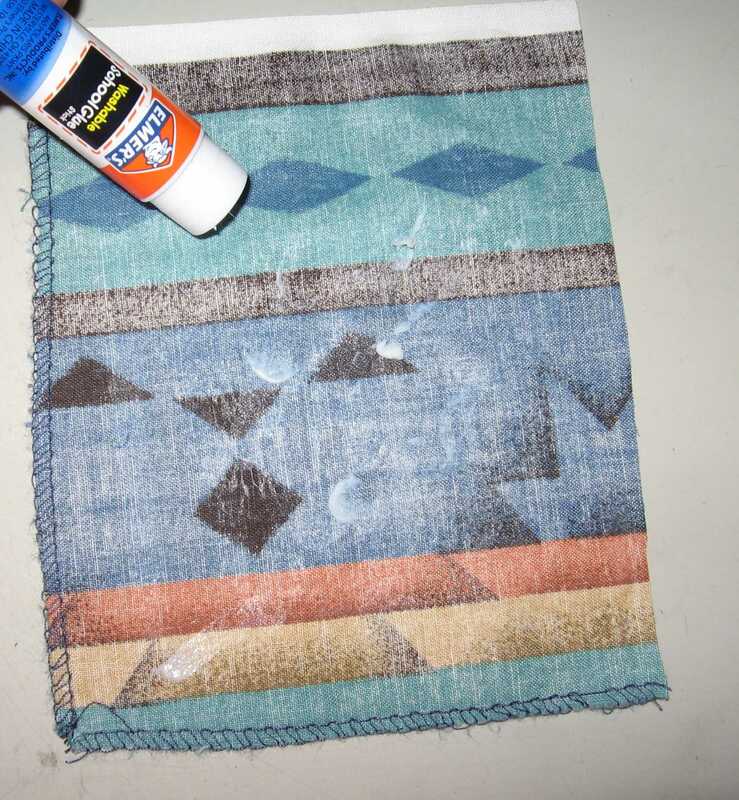 Elmer’s Washable Glue Stick: I smeared an even layer of glue over one piece of fabric, added a few large globs, then placed another piece of fabric on top. Ironing dries the glue quickly, but does not affect how well it washes out. The glue washed out completely. I don’t think either basting spray I tested washes out at all, at least with one cold wash. The 505 Spray residue was less objectionable, but it was still there. Time and multiple washings should reduce the stickiness of the residue, but I don’t know if the residue itself ever actually goes away. I will probably not be using “temporary” basting spray on my clothes, because as far as I can tell, it leaves a permanent residue on the fabric, which just grosses me out. I don’t want chemicals on my clothes. 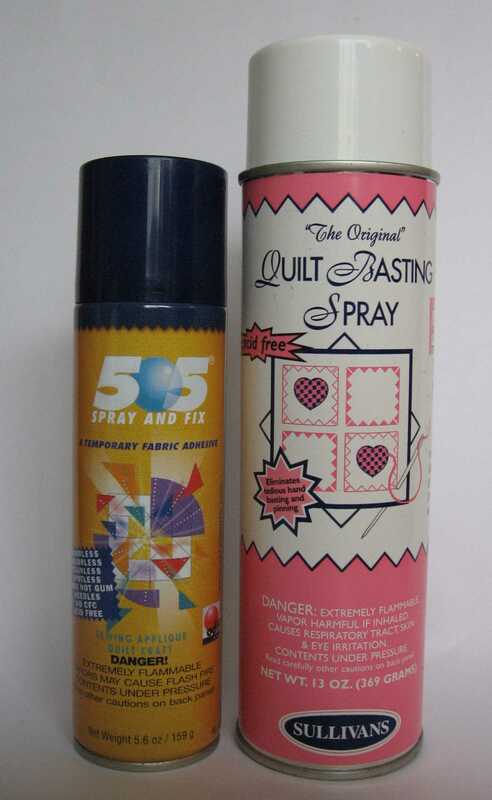 I might use 505 Spray on a quilt, since it makes quilting so much easier, and it’s not likely to be directly in contact with my skin for prolonged periods. I wouldn’t use it on a baby quilt, though. I don’t know if the dried residue is toxic or not, but I’d want to err on the side of safety, since you know at some point the baby will be chewing on a wet corner of the quilt. Wonder Tape leaves a residue, but I usually use it to hold zippers in place, so it’s probably not hurting anything in that situation. The residue seemed to stay on the surface of the fabric. It didn’t look like it was absorbing into the fabric. I would hesitate to use it on something like a knit hem, since I’m not sure how that sticky strip would affect the look of the hem (plus I’m just too cheap to use such a long piece of this tape). Hopefully the sticky residue washes out eventually with additional washing, although I’m guessing the fibers would stay in place if they are enclosed between layers of fabric. I have to say the claim on the package that it “completely disappears in first washing” does not seem to be true. I’m not going to be tempted to try to save money by spraying Fabri-Solvy with basting spray to make it sticky, since the basting spray leaves a residue. I’ll just buy the Sticky Fabri-Solvy, since it washes away completely. I’m glad to find out that Sticky Fabri-Solvy washes out completely, since I’ve been using little pieces of this all the time lately. I usually use it to stabilize tricky to sew areas on knits, and it works beautifully. A fabulous piece of research, thank you. I dip my solvi in a bit of water to dissolve it, paint it on and it washed out. It doesn’t really glue the fabric together though. That’s one thing I haven’t tried. I’ll have to try painting on watered down school glue, too. Solvy is made from PVA, which is the active ingredient in Elmer’s school glue, so the glue would probably work about the same as dissolved Solvy. Thank you for doing this experiment and reporting it to us! Thanks so much for your research. I too, tried a sample and the 505 spray glue does not wash out, just becomes less tacky. Sure don’t like the idea of it “disappearing” forever into the fibers of my quilts. I love the process, just can no longer rationalize making and gifting toxic laden quilts…seems a contradiction…toxic comfy. So, I’m going to give the Elmer’s glue a try…worth waiting a bit for it to dry. Once glue drys is it safe to machine quilt through? I’ve never used glue for quilting, but others have. When I use white glue for basting, I try to keep it out of the stitching line, because it forms hard spots that are difficult to stitch through. You’ll have to test to see if it works for you. On a scrap, try drizzling thin lines of glue from a distance, press the layers together firmly, then let it dry. The key thing would be to avoid any large globs of glue. I found a product that removes residue from basting spray, it’s orange power sticky spot & goo dissolver. Hi Lisa, Did you use this on a finished item, with the basting spray inside the project? Or are you talking about removing it from surfaces resulting from overspraying. Thank you for this information. I found it looking for something less toxic than the usual spray adhesives. I am very glad to lean about the Sticky Fabri-Solvy! I wish I had seen this before I used the Sullivans Spray (new and improved). I have spent months (and $) making a beautiful quilt top for my first grandchild. Wanting it to be perfect, I tried the basting spray. It was bad, right from the start and it smelled so bad. The gummy inside did not allow for uniform stitching, so I had to abandon my original quilting plan and “hide” the uneven stitches in the seams of my piecework. But I kept thinking it would wash out, and things would be okay. I have now washed it 3 times, the last 2 in hot water (the last with an overnight soak in the hot soapy water) with heavy duty detergent. Well, it is not fine. It is just as stuck as ever and the quilt is as flat as a pancake. The gumminess has caused the batting to lose it’s loft as well. The only thing left is to try dry cleaning. At best, this intended cosy quilt, will become a flat toddler bedspread. Not even sure I want my baby exposed to the chemicals. I am so sad! Wow. This has been so informative and also disappointing news. I bought 505, but now think I’ll not use it on my mostly white queen size quilt. 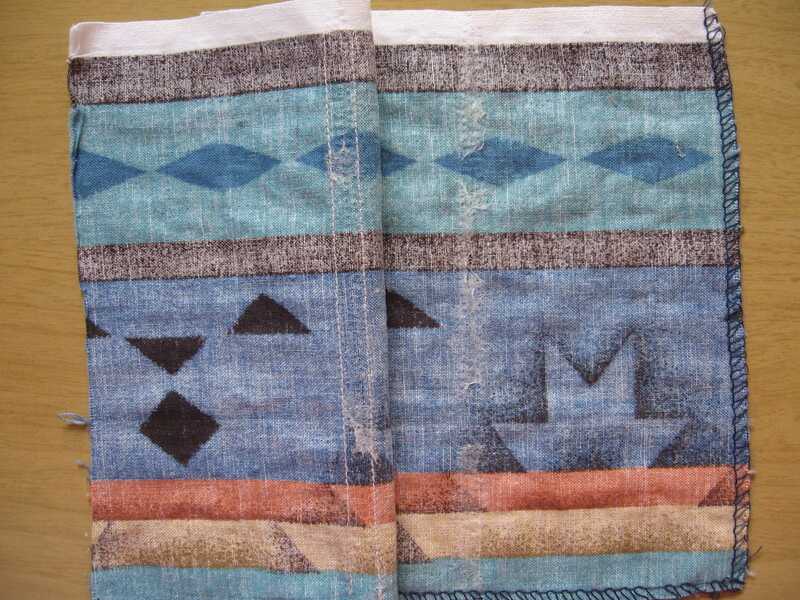 It is a special quilt which took several years to design and make. The can instructions say dry clean to remove! Really? Are you kidding me. I’ll hopefully find a use for it on something like wall hangings, but not this project and certainly never a baby quilt! Thank you all for the info you have shared. 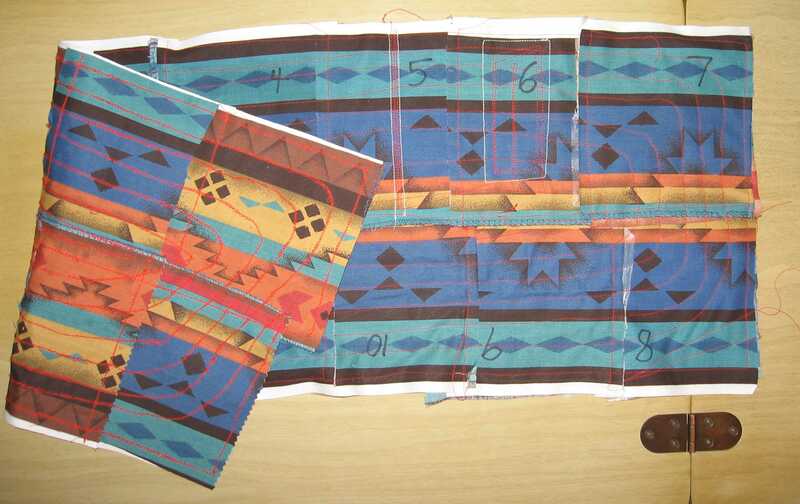 I used Odif’s 505 Spray and Fix Temporary Fabric Adhesive on squares for a class quilting project. I began to experience severe eye irritation and upper respiratory allergy symptoms to this product. The only way to remove thie adhesive is by dry cleaning according to the product label. I used Sullivan’s and some 505 on a quilt that took me a loooong time to make. I used bamboo batting . There are terrible yellow stains where it was sprayed. Multiple washing in hot water did nothing. Dry cleaning did nothing. The quilt looked horrible – like it had pee stains all over. They were very visible on the white. It looked like the stain came up thru the batting. Where the seam was three layered, there was no stain. Only on the single layer of white. Desperate, I tried Goo Gone gel spray. After first pass, almost all the staining came out. Will need to do round two to get the remnant. NEVER EVER using spray basting again!